Josh Wallenstein is an accomplished attorney and compliance expert. 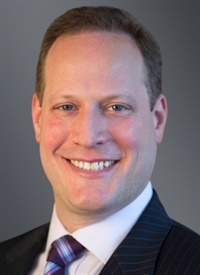 He is also the Managing Member of The Wallenstein Law Group, a boutique practice specializing in legal and compliance issues. Mr. Wallenstein offers his clients practical, no-nonsense solutions to a wide variety of compliance concerns. He delivers cost-effective advice developed from his almost 15 years of legal, compliance, and risk management experience. • In-House Counsel: includes regional and global postings in Mexico City, Dubai, and various US cities. His most recent in-house position was as Chief Compliance Officer for a public international company in Houston, Texas (USA). As a result, Mr. Wallenstein’s counsel is tempered with a unique cultural and linguistic sensitivity that ensures optimal effectiveness. • Outside Counsel: includes engagements across the globe in a variety of industry sectors. Recent examples include acting (i) as the Compliance Expert relating to a World Bank debarment and (ii) as interim compliance officer during an extended deferred prosecution agreement from the U.S. Department of Justice. Because of the breadth and depth of his experience, Mr. Wallenstein is the counsel of choice for complex international matters. Mr. Wallenstein is a member of the Texas, New York, and District of Columbia bars. He holds a J.D. from Stanford Law School and a B. A. from Southern Methodist University; he is a published author and frequent public speaker on ethics and compliance-related issues. Mr. Wallenstein speaks English, Spanish and Portuguese.